The audio launch of Urudhi Kol happened yesterday (3rd July), where actors Aari, Mansoor Ali Khan, Munishkanth, dance master Sivashankar, music director Sathya and others graced the event with their presence. The film has Pasanga and Goli Soda fame, Kishore in the male lead role, while it is directed by Ayyanaar. Mansoor Ali Khan, during his speech, told, "The best thing about cinema is watching a film in the theatre, which keeps cinema alive. But, we do not need anyone else from outside to destroy cinema. Only cinema people kill the art. Kamal Haasan is hosting this show called Bigg Boss. It is so disheartening to see a legendary actor like him ruining cinema by hosting a show like this. The show doesn't suit for our society and also, it kills our cinema. Because of the telecast of the show in the evening, people coming to the theatres have been reduced by a large margin for evening and night shows. The repeat telecast happens the next day morning and hence morning shows crowd is also cut. On the whole, all shows are cut and the crowd is very less. He should think what would happen if Vijay or Ajith does a show like Bigg Boss when his film releases in the theatre. 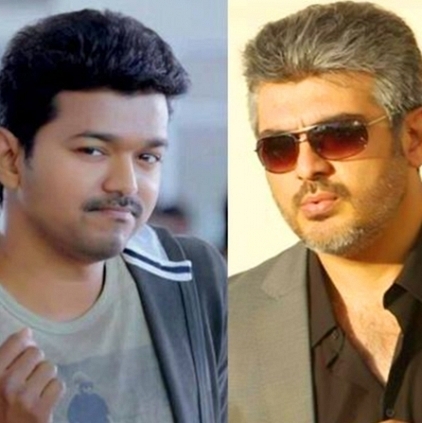 Will he be ready to fight with Vijay or Ajith? That will be the time when he will realise." People looking for online information on Ajith, Kamal Haasan, Mansoor ali khan, Vijay will find this news story useful.